A few weeks back I chatted with a customer on an Air Knife application where they were using our 48″ aluminum Super Air Knife to remove leftover dough from a baking pan. The knife was working somewhat, but they were seeing some residual dough being left in certain areas on the pans due to what they perceived as “weak” airflow. After reading through our catalog and installation guide, they noticed that there were available shim sets that would allow them to increase the gap setting to get more force and flow out of the knife. Our aluminum Super Air Knives are shipped from stock with a .002″ shim installed. The optional shim set includes a .001″, .003″ and .004″ shim that would allow you to decrease or increase the performance. By operating the Super Air Knife with the .003″ shim installed, this would increase the force and flow by 1.5 times and using the .004″ shim would double the performance. Sometimes achieving greater force and flow may be required but with the customer saying they were seeing weak airflow, it seemed there may be a restriction on the supply side. I asked the customer how the knife was plumbed and what size supply lines he was using. He advised that they were plumbing air to all 3 inlets on the bottom of the knife but they were using 3/4″ hose with a run of about 30′. I advised the customer that plumbing air to all 3 inlets is required for a 48″ Super Air Knife but we actually recommend 3/4″ Schedule 40 Pipe up to 10′ or 1″ pipe up to 50′. If using hose, he would need to go up a size to maintain a large enough ID to carry the volume required for the unit. In his case, since the length of the supply is close to 30′, he would need to use 1-1/4″ ID hose. Improper plumbing line size is a common issue we deal with here at EXAIR. Using undersized supply lines can cause excessive pressure drops because they aren’t able to carry the volume of air necessary to properly supply the compressed air device. 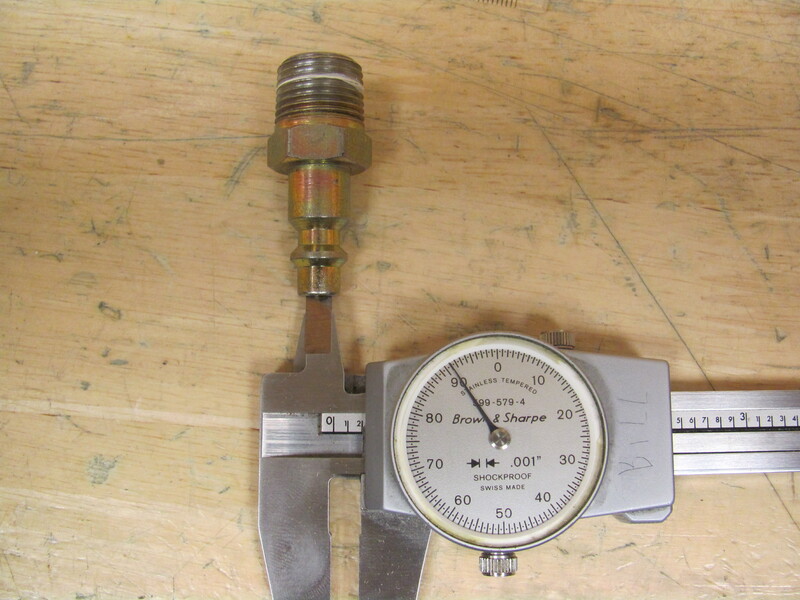 In this particular application, if the customer were to install either the .003″ or .004″ shim, while keeping his current plumbing size, the performance would actually be worse as now the lines are even more undersized due to the increased air volume requirement from the larger Super Air Knife gap. If you are looking to change the performance with one of our Air Knives or if you would like to discuss a particular application or product, please contact one of our application engineers for assistance at 800-903-9247. This video illustrates how improper compressed air supply lines can result in a pressure loss and impact product performance.